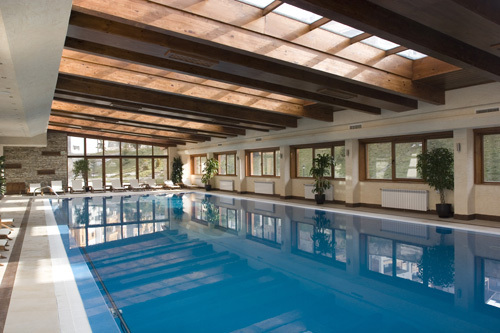 St. Ivan Rilski Hotel, SPA & Apartments is located in Bulgaria’s most famous ski resort of Bansko. The brand new property has a total area of about 16 000 sq. 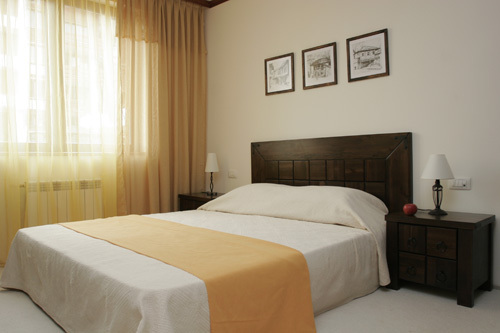 m and as its name suggests, consists of a hotel, a SPA centre and 4 luxury apartment houses. Built in the distinctive Alpine architectural style coupled with traditional regional and national elements, the development is a true paradise for those seeking comfort, tranquility and splendor. St. Ivan Rilski SPA Hotel, Bansko, a part of FPI Hotels & Resorts chain was awarded the prestigious “The best four star holiday hotel in Bulgaria for 2009” prize, by the Bulgarian Hotel and Restaurant Association. 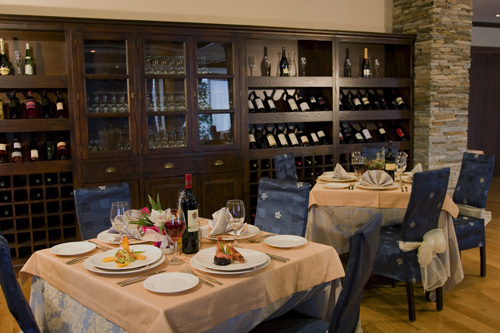 Chanove Tavern will welcome you to the delicious world of Bulgarian cuisine. The tavern offers traditional Bulgarian meals, spicy grills, variety of healthy salads and ethno atmosphere attended by authentic Bulgarian live folk music. Moderato Restaurant offers exquisite European and Mediterranean cuisine, selected wines from prestigious Bulgarian and world famous wine regions, splendid atmosphere, stylish design and amazing panoramic view to Pirin Mountain. 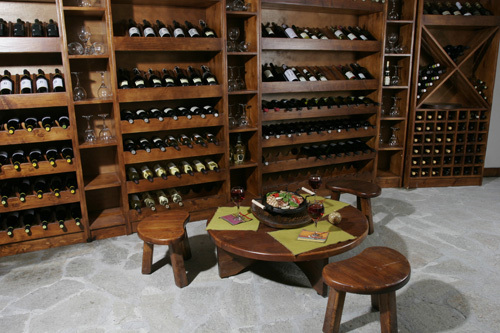 After a tiring day at the ski-runs the Lobby is the ideal place to relax over a glass of good drink. The Lobby bar offers a rich variety of beverages, tea, coffee, soft drinks, cocktails, fresh juices, snacks and desserts. St. Ivan Rilski SPA Hotel offers three fully-equipped conference rooms with natural daylight, total capacity of up to 150 guests and an option for merging into a single hall. There is a Business centre in the hotel as well. All office services are at your disposal – computer, printer, fax, telephone line, Internet access.